Yesterday was a cold and gloomy day in New York City… I just knew I needed to wear something spunky to keep my mood bright. 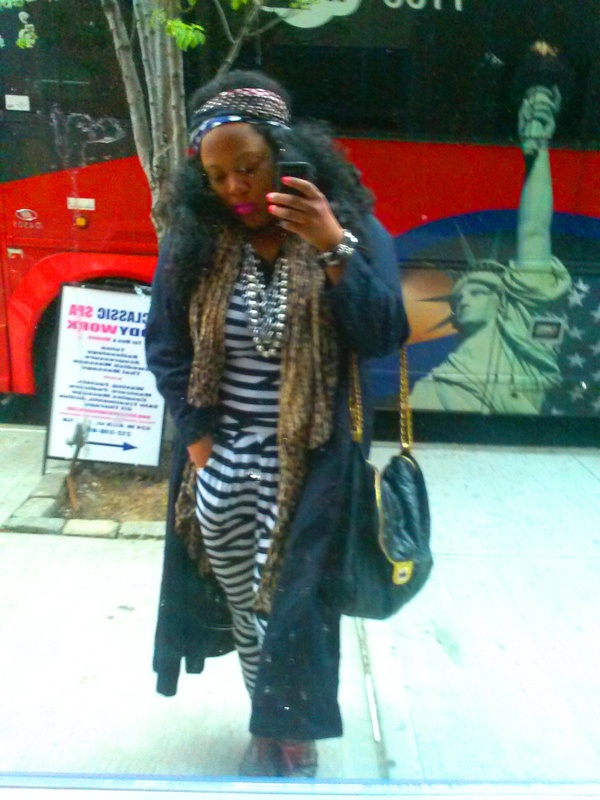 So, immediately I went for my Zebra Jumpsuit, purchased this past summer at a flea market in Philadelphia. 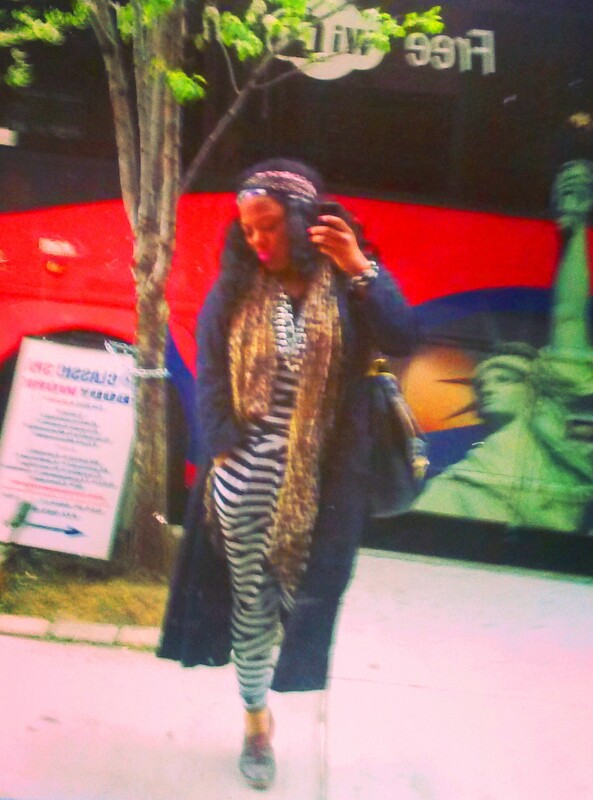 I put on my cheetah print scarf and my vintage navy blue Harvey Bernard trench coat. I’m not afraid to have fun with prints! 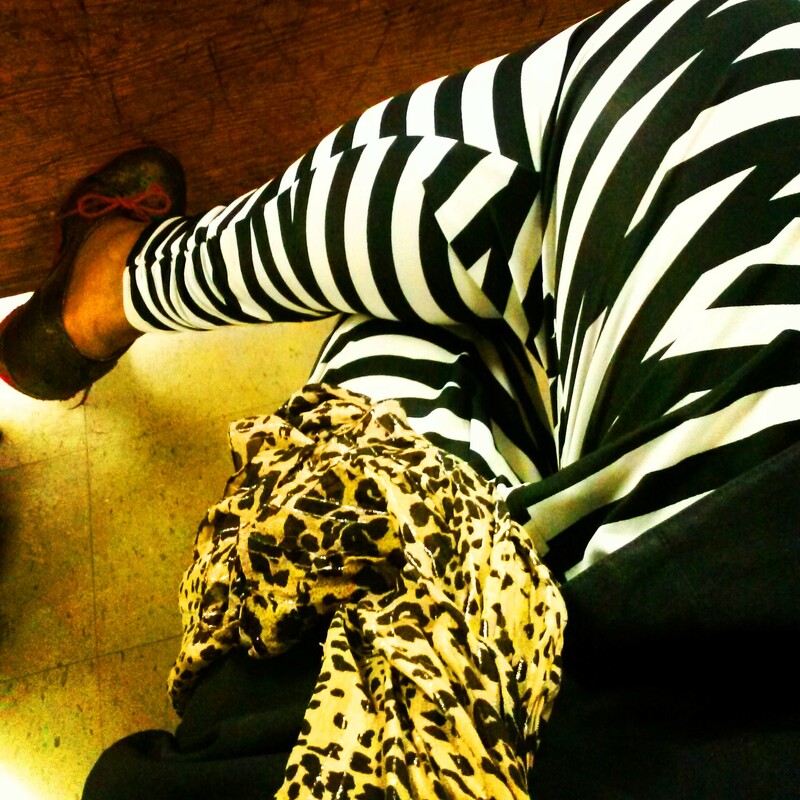 I was so comfortable in my look, having plenty of prints to keep my spirits bright!